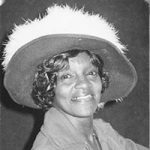 Augustus Funeral Home regrets to announce the passing of Mrs. Adella Florence Mae Grant Williams. A Home Going service for Mrs. Adella Florence Mae Grant Williams, wife of the late Eric Williams, daughter of the late James and Mizpah Warren, loving mother to Eric Grant Williams, sister to Phyliss Busby, Esther Lewis, the late Edmund, Clarence, Lawrence, Charles, Viola O’Brien and Dorothy Hayward, in her 94th year of 31 Angle Street, Hamilton will be held at The First Church of God, Angle Street Today, January 22, 2019 at 2:00 pm. Relatives and friends may pay their last respects at The First Church of God, Angle Street Today, January 22, 2019 from 1:00 pm – 1:55 pm. Lovingly remembered by nieces: Claire Lightbourne, Sharon Warren, Valerie Forde, Antoinette Hayward, Carol Lewis, Rhoda Sutton, Cherie Butler, Keisha and Maya; nephews: Rudolph, Andrew, Anthony, Hayward, Andre’, Elmore, Ronald Simons and Dale Butler; special friends: Elizabeth Gumbs, Catherine Cox, Roz Archer, Deloris Thomas, Wilma Yearwood, Betty Woolridge, Angle Street. Church of God Family, Salvation Army Thrift Store Family, and Victoria Castle and numerous others. Adella Williams was predeceased by brother-in-law: Clarence Lewis.